Learn as much as you can about the rules of golf etiquette! 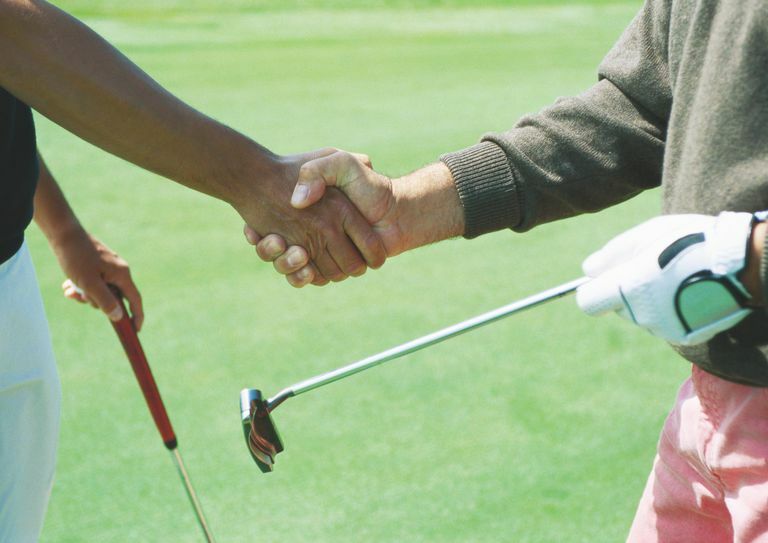 Golf etiquette makes playing the game more enjoyable for you and those around you. Whether you are enjoying a practice round, hitting a few balls at the driving range with your coach, or are deep in the throes of the heat of the final holes of a tournament, you will be expected to follow both written and unwritten rules of etiquette. While developing your golf skills and improving your playing power and accuracy is important, you will also be building your reputation based on the way you carry yourself and treat others while playing. One of the pros about many things these days, like the online gambling Canada has to offer, for example, is that time is not such a huge deal. If you are running early or late you just pop someone a message or make a quick call and things are usually okay. Not so with golf. This drives the starter and those in the shop insane, as it potentially puts the rest of the tee sheet for the day in danger of a delay. The 15-minute time slot is actually a generous one. Most courses would actually prefer that golfers arrive half an hour before they play. If you are on your own, or at the driving range feel free to go to town. If the area is crowded, however, limit yourself to two practice balls. Any more and you are simply monopolising real estate. Have you ever suffered that awkward moment when you are the last player to finish, and, as you head off to the next tee box, you suddenly realise the pin has remained on the ground, thus forcing you to do a walk of shame back to the green? Well, it wasn’t your fault. If you are the first to finish, you should grab the pin at once. Yes, golf balls are expensive, and it is commendable that you are risking life and limb to find another player’s ball, but there is a vast difference between making your best effort and belabouring the point. After five minutes are up, let it go. Whatever the intentions behind this are, it is irritating and, to some, underhanded. Even if you are not directly behind the player, this kind of behaviour is unwelcome. Many amateur players are not aware that a putter’s line extends two or three feet past the hole. 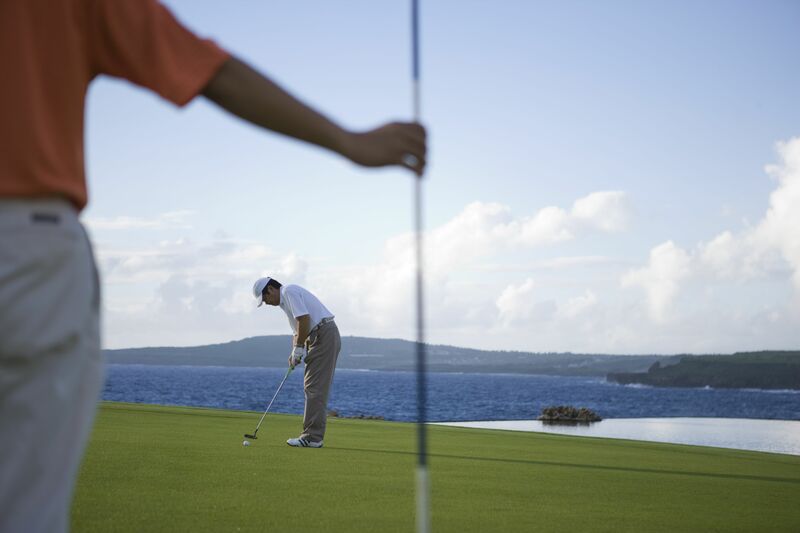 This is vital: if a putt misses long, the through-line is where the ball will end up, and it’s the path for a golfer to finish out the hole. The next time you are watching a tour event, keep an eye on what Phil Mickelson does. He will routinely run through a putt on the through-line side of the cup.